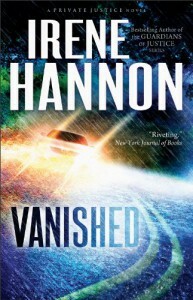 Vanished by Irene Hannon is a romantic suspense novel. Moira, a reporter drives home on a deserted street when all of a sudden, a person is in front of her car. She tries to stop but hits the person and crashes her car too. She hits her head and suddenly a man appears at her car. He tells her to sit tight and that he will call 911 and check on the person on the street. Moira passes out and when she awakens again an hour later there are no emergency vehicles, no strange man and no person she might have hit. The police don't believe her story and no investigation takes place. So Moira has to take matters in her own hands and seeks the help of a private investigators office to find out who the woman, she hit that night, might have been. Oh and you mights ask, but where is the romance part? Hey, I just told your she meets up with a PI. Figure it out. I really enjoyed this book massively. Right from the beginning it is full of suspense and a real page-turner. Different than in other suspense novels Irene Hannon doesn't let the reader hang and tells from the start what happened that night. We don't have to speculate but are intrigued by the way our main characters try to find out all the little details. The characters a developed in a "real" way, they don't feel over-board but like people you know in real life. The writing style has a nice flow to it and just draws you in. I got really invested into the story and the characters. 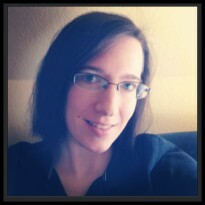 I hope Irene Hannon is quick in writing the next book in the "Private Justice" Series so I can get my hands on it. I can't wait to find out what is still in stores for the three PIs.